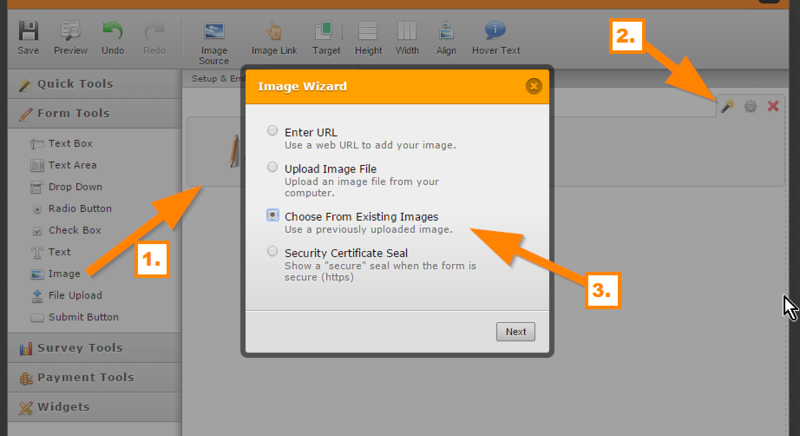 If you would like to insert an image to your form, you can use the "Image" form field. If you would like to insert an image to your form, you can use the "Image"
I'm sorry, but I'm unable to understand your concern fully. I'm using Google to translate French to English. 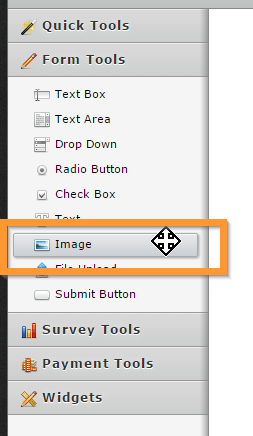 Would you like to select existing photos to use? 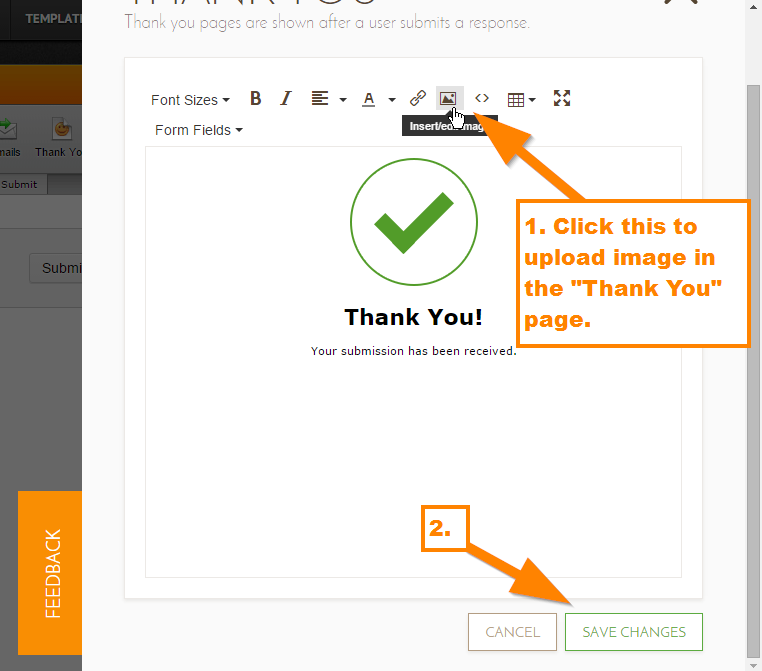 You can do that by selecting "Choose From Existing Images"
If you would like to add an image in your "Thank You" page, you can do that by editing it. First, click the "Thank You" button. In the "Thank You" wizard, you can edit the page and add an image.